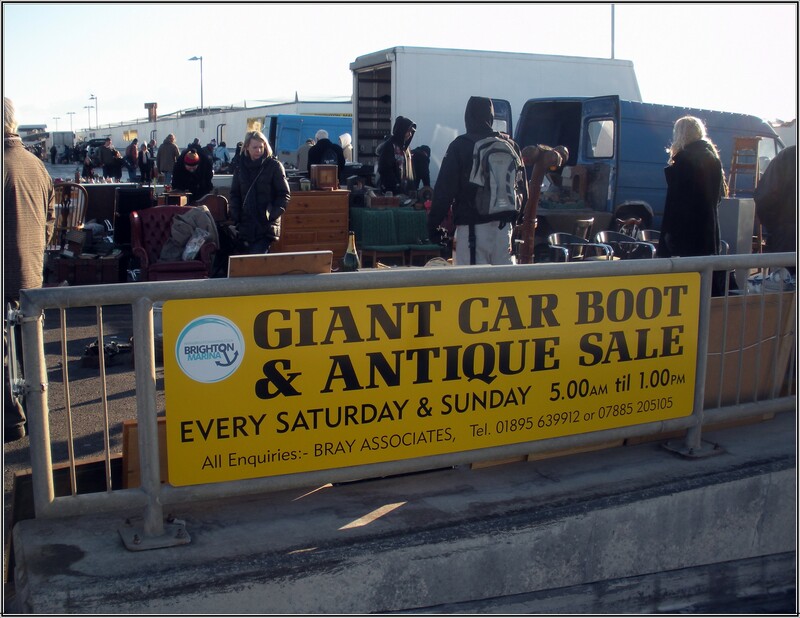 With loads of stalls bursting with new and used bargains galore, the weekly Brighton Station car boot was one of our favourite places to shop on a Sunday morning. 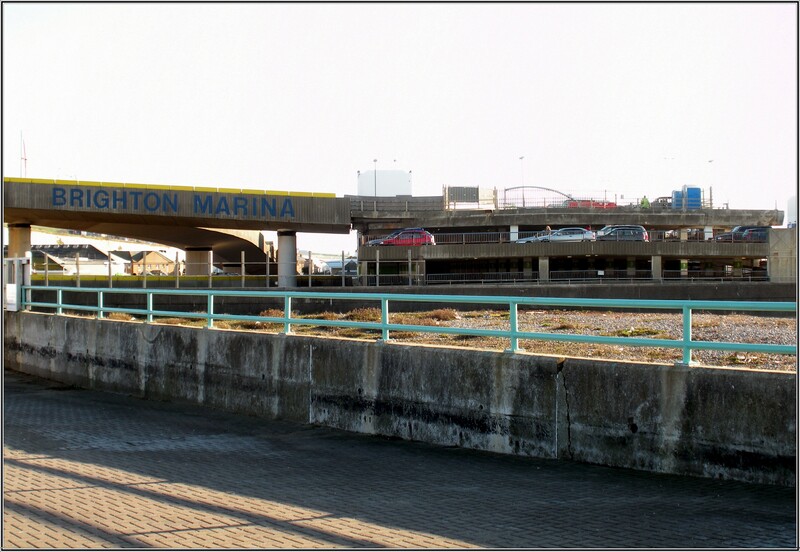 Last April we said our fond farewells as it was decamped from its location of twenty plus years and moved across town to the multi storey car park in the Marina. 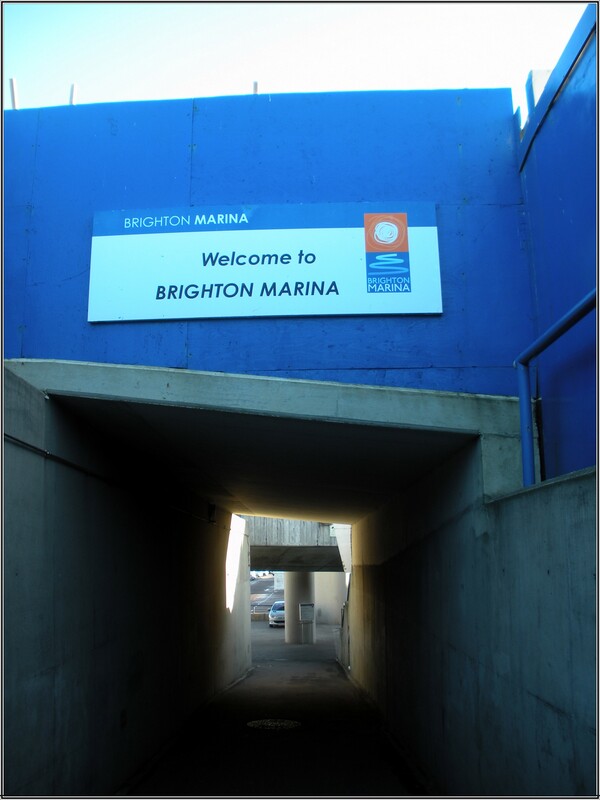 Though we swore blind we wouldn’t ever go near Brighton Marina again, we couldn’t stay away for long, so last weekend we took advantage of a rare day of sunshine to trek across town to check out our beloved boot fair in its new home. 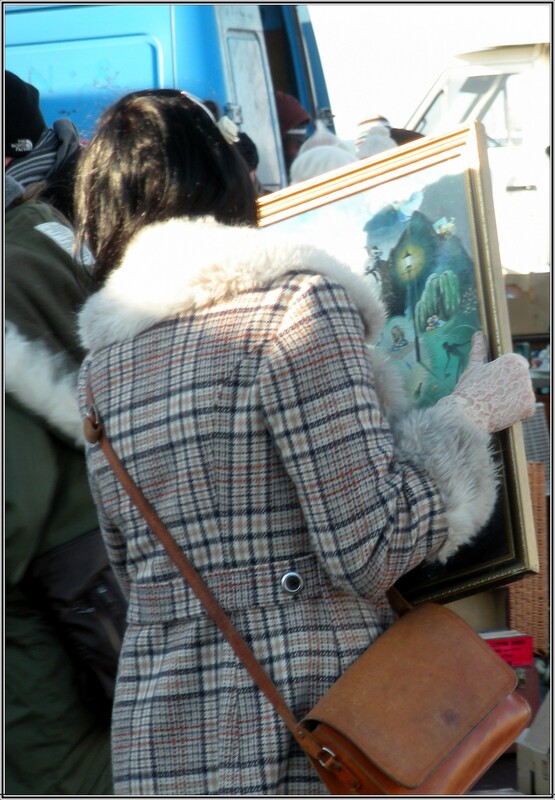 The Marina boot fair is open from 7am (5am for traders) till 1pm and it’s probably best to get there early for a chance at the real bargains. It’s a long way for us to walk so we get up extra early (for us anyway) and set out from the West Pier at the crack of 10am. Ten minutes into our trek we’re half way down the promenade and the early morning exercise is taking its toll, so we stop for some well deserved sustenance at Jack and Linda’s Traditional Fish Smokers. Jack and Linda have been smoking locally caught fish fresh on the beach here for over 14 years and there is always a delicious range of seafood snacks on offer. Fortified by scrumptious fish soup and hot buttery kipper rolls, we continue our way along the seafront, past the crazy golf toward the Marina. 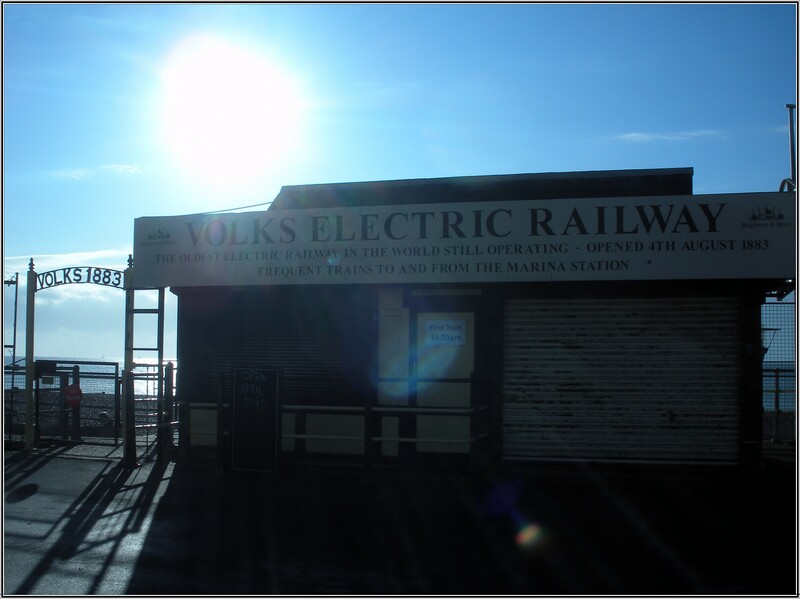 Unfortunately it’s out of season so we can’t even cadge a lift off the Volks Electric railway. Undeterred we carry on down Madera Drive. Half hour later and we’re still walking – past the nudist beach and on to Black Rock station. 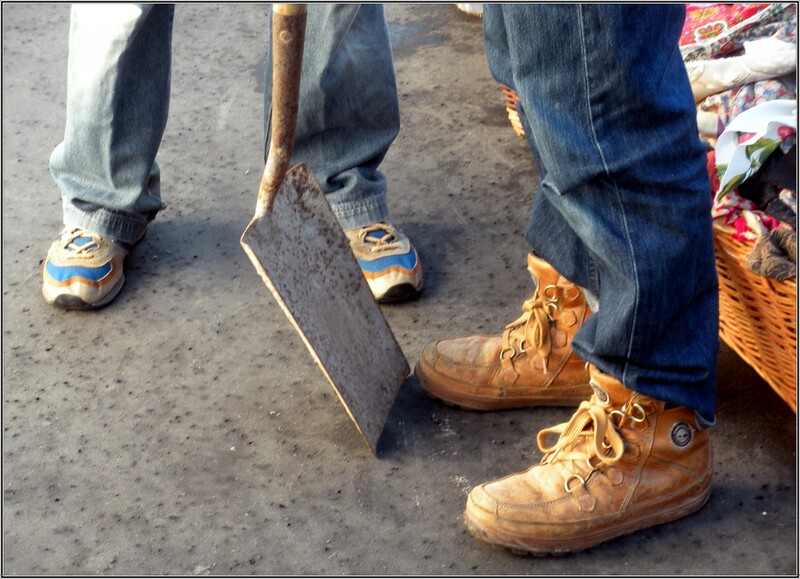 As we get to Black Rock we’re thankful the railway’s closed – the place is covered in poo! Yuk. It’s now about 11.30am and we are nearly there. There’s just the traveller’s encampment to circumnavigate, where we are momentarily diverted from our mission while I play with a rather cute looking pony called Clyde, before the concrete loveliness that is Brighton Marina looms into view before us. Through the car park and up however many flights of stairs later, we have at last arrived at the boot sale, ready to start our browsing. It’s good to see some of my old favourites – the flower stall, the buttons ‘n’ bows ‘n’ religious souvenirs from Lourdes stall, the stall run by the nice shouty lady that’s full of bargains from £1. But on the whole traders seemed a bit thin on the ground today, though being the post Christmas / New Years weekend I guess you’d expect it to be a bit quieter than normal. 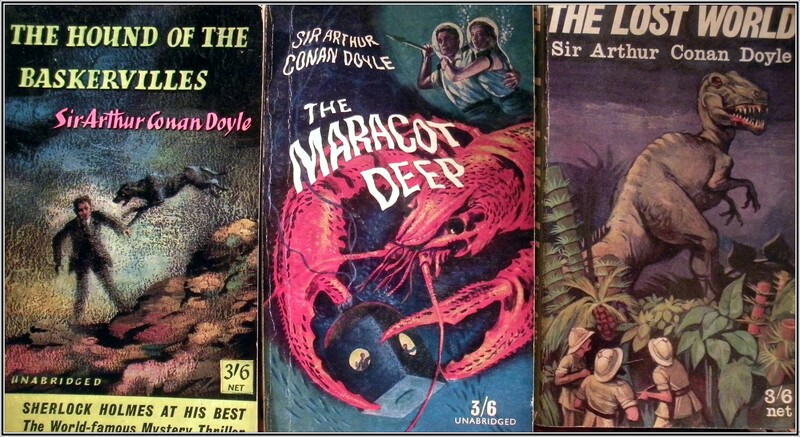 There’s still enough to keep us busy for an hour or so and, though there aren’t that many book traders in attendance, I manage to find some nice vintage paperbacks to keep me going. One good thing about the Marina for a Sunday morning browse is you do get two markets for one. 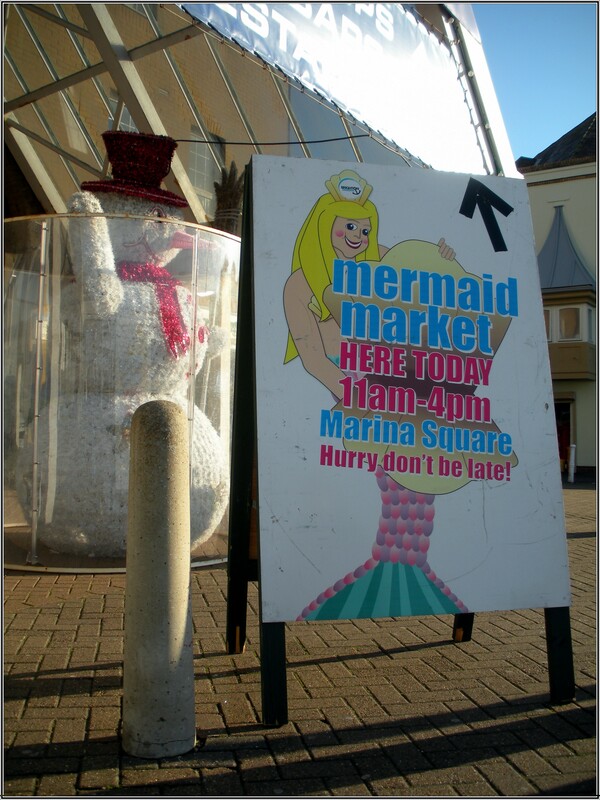 Walk out the car park, past the gigantic ASDA and you will come upon the Mermaid Market located in the square and open Sundays 11am- 4pm. This comprises of about 50 stalls selling mainly new stuff like home made soaps, food, trinkets and exotic woody things from Thailand. There is also a good second hand book stall so it’s always worth a look. We head home via Dukes Mound, pausing briefly to pay homage outside Sussex Square – according to D it was here Black Sabbath wrote Paranoid – before wandering down into Kemptown to finish our shopping experience in the eclectic pink wonderland that is The Brighton Flea Market –but more of that in a later post. Incidently, if you’re the sort of person who likes to check out other peoples bargains almost as much as rummaging for your own, then pay a visit to the amazing The Usual Shop. This Brighton blogger really knows her way around all the local flea markets, car boot fairs and jumble sales, faithfully recording her finds online for the rest of us to drool over. 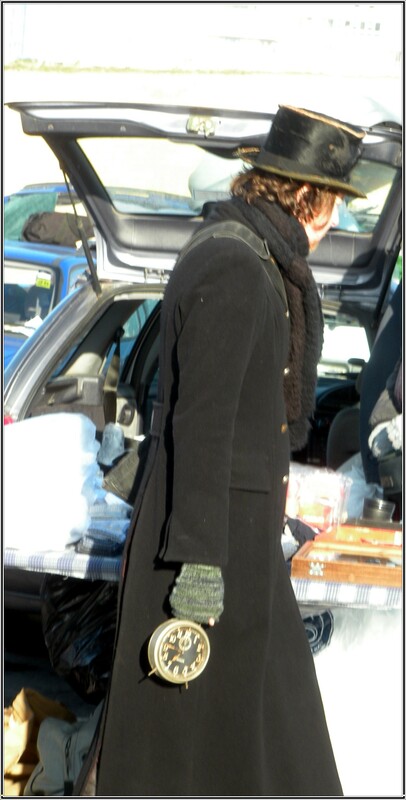 So was Brighton Marina boot fair worth the walk? The blurb boasts of over 200 pitches but I say there were less than forty on our visit. To be fair it’s a quiet time of year but I have been here once before in October and found it similarly bereft of traders. Other people on the web seem to love this place so I’m holding off judgement to give it one more go in the spring / summer – third times a charm they say and maybe I’ll have more luck once the weather improves. Today saw a snow fall the likes of which has not been seen round these parts for over eighteen years. Though only a few inches deep everything came to a standstill, including the trains, so unfortunately I had to work from home. ….